At election meetings, politicians usually just ask for votes. But at a public meeting here in 2006, Atal Bihari Vajpayee perplexed the audience when he also asked for some pajamas. The former prime minister, who died yesterday, was addressing a meeting at the city's Kapoorthala crossing in support of Dinesh Sharma, now Uttar Pradesh deputy chief minister but then a candidate in the election for Lucknow's mayor. Atal Bihari Vajpayee was running a high fever when he reached the meeting venue, Mr Sharma told PTI. The Bharatiya Janata Party leader started out by saying he saw a reflection of himself in Dinesh Sharma, according to the UP minister. So if they really meant it when they chanted 'Hamara neta kaisa ho, Atal Bihari jaisa ho', they should back Mr Sharma, the popular politician told the crowd. "At the same meeting, he asked people how he would look if he wore just a kurta and no pajamas," Mr Sharma said. "While the gathering wondered what he wanted to convey and some shouted that he will look bad, Atalji said that by ensuring his own victory as MP from Lucknow, people had given him a kurta," the minister recalled. But Atal Bihari Vajpayee wanted the 'pajamas' too to go with his 'kurta', and that meant a win in the local elections. "This witty remark by Atalji catapulted me to the post of Lucknow's mayor. While opposition candidates were using money and muscle power for winning polls, I got the seat on a platter," Mr Sharma said. "Wherever I went, people assured me that I should not worry as they have to give the pajamas to Atalji," he said. 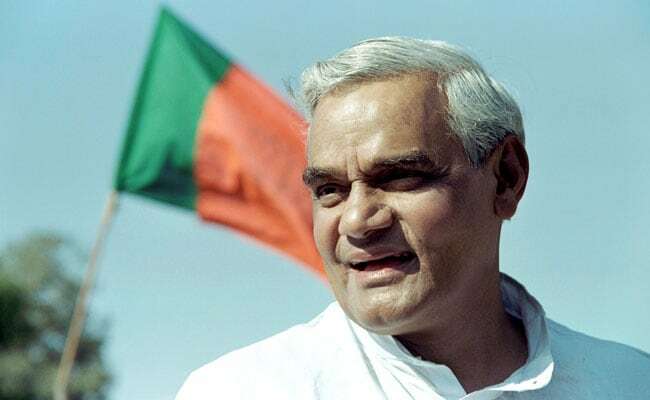 Atal Bihari Vajpayee was elected to the Lok Sabha from Lucknow in 1991, 1996, 1998, 1999 and 2004. Mr Sharma, a commerce professor at the Lucknow University, was the city's mayor from 2006 to 2017, when he became deputy CM in Yogi Adityanath government. Mr Sharma said words fail him when he tries to describe Atal Bihari Vajpayee. "His personality cannot be summed up in words. He was the one who sculpted the BJP," the minister said, adding that the leader helped fill the vacuum left in the party with the death of Deen Dayal Upadhyay. "Now he is no more physically but his thoughts will remain," he said. People will do research into them just like they study Gandhian philosophy, he said.